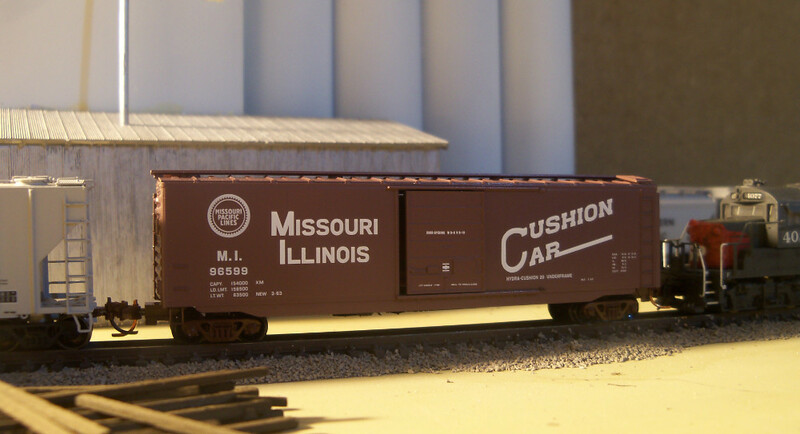 SHOW US YOUR MISSOURI-ILLINOIS SPECIAL RUN CAR! Nice views, Chris! And your fall color setting is as noted previously, a certainly winner as far as I am concerned! Wow, I just noticed this picture. Those grain hoppers look pretty slick. Too bad I wasn't around Trainboard at the time. I can't find my decal set! Hardcoaler and WPZephyrFan like this. We are down to 59 folks. Some revenue miles on that car! Yay! I finally found my TrainBoard decals. Sharp photo. It looks like the sun shining on the top edge. Nice. 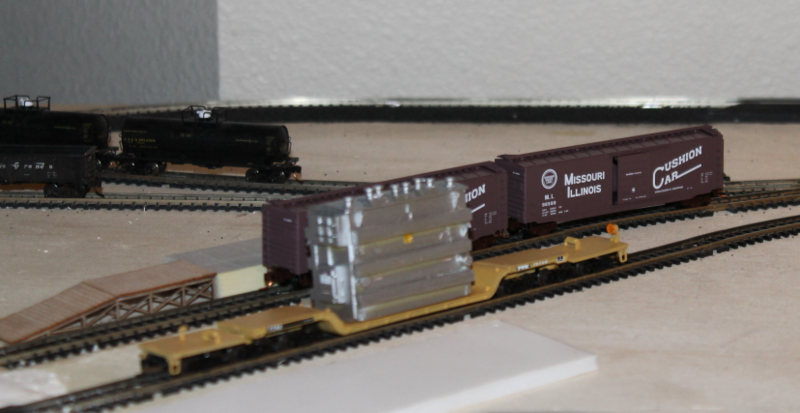 IM box rides the rails through New Lisbon, WI on the MODUTRAK layout at Trainfest 2013.
one track over, carrying additional installation parts. converting to HO. Transferred to Colorado, from Australia. Needs a replacement brake stand/wheel now. BTW, hope your leg is back to full mobility? Nice little village. But that white van's driver needs his sobriety checked!